Mmmm bacon. 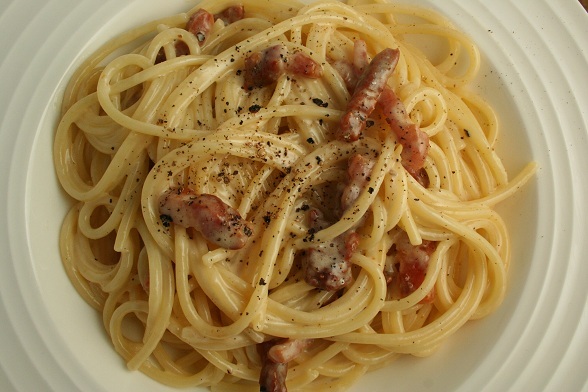 I arrived home this evening to the delicious smell of bacon frying; Kerri was making spaghetti carbonara, which was most welcome. It was similar to this recipe, but we took a slightly different path by adding some left over marscapone instead of cream. The result was delicious and the photograph much more appetising!